Kings rule. They dominate, squash their enemies, and take their captives and concubines and issue edicts. They act as though they are God, and some have gone so far as to proclaim themselves a god. They lay siege, amass armies and, if not in the mood to forge alliances, take over enemy territory. I’m not into study of the Medieval era or Monarchies, so I will dispense with historical references. The tie-in to royalty is when a company names its speakers “Emperor”, “King” and the like they are suggesting they’ve got something supremely good, much betterthan the competition. Well, do they? I will be the judge and will render my ruling! In Latin the word meaning potent is “potens”, which means to be able. We get right to the bottom line in the Greek when we see “posis”, which indicates husband. Are you getting the theme? Men carry the potential to impregnate women, and in the ancient world the implication of it extended even into the political realm as men were potentates. Sexist? (Dagogo and its staff respect the female gender, as we respect our mothers and wives. –Ed.) Yes, but that was ancient culture – a vastly different world than today. Bypassing the politics, we’ll stick with discussion of an electrostatic loudspeaker named the King. I recall playing the childhood game “King of the Hill”. In our subdivision which was being built, we played it right, using a pile of hard, clay soil excavated from holes dug for basements – this was the domain the King defended. It could be painful to be toppled from the hill, as it might mean a few scrapes. 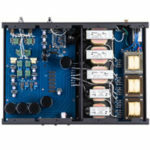 One might think of audiophile speakers like children, designed to push and claw their way to the top – they all are vying to be recognized as having superior technology or status as the popular favorite. So it is with the King, another in a long line of planar speakers trying to bring an alternative form of musical magic to the masses. 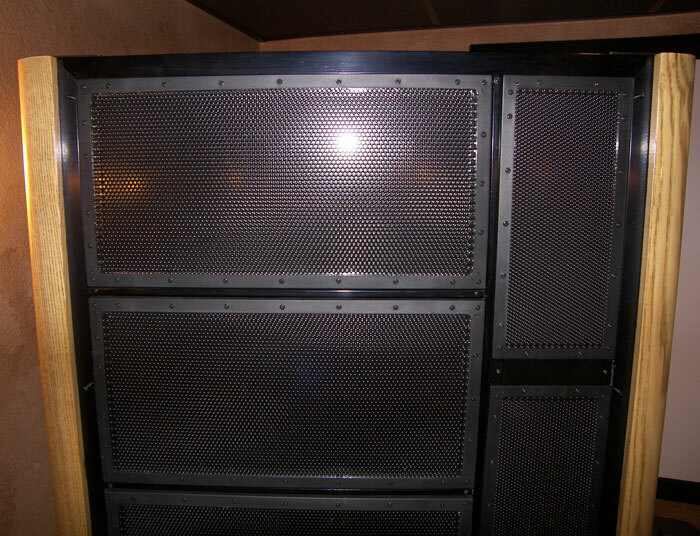 I’ll never forget how bowled over I was the first time I heard a serious planar speaker. It was in St. Louis at an audio store which demoed the Magnepan Tympani. I was a young student at the time, hastily concluding, ”I will never be able to own a speaker like that.” However, I never forgot the experience. The Tympani remained my conception of the ultimate planar speaker for many years. Speaking of many years, the audacious dream has become reality, though not quite as I had envisioned. Initially I splashed in the magnetic planar kiddy pool, as I bought a pair of Magnepan MMG’s with an eye toward going deeper with the 1.6QR if I was pleased with them. I recommend a similar “test” experience to those who are unsure; sample a small planar speaker prior to committing to the full scale version. 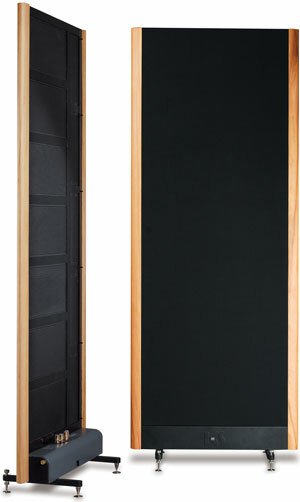 To that end, King Audio offers a wide range of speakers to fit any budget and room size. After the 1.6QR’s I moved to the Eminent Technology LFT-8A, and had a foray into “stacked” LFT- 8’s. I also had used a pair of Apogee’s, and proceeded to learn that vintage gear can be more hassle than it’s worth. More recently I acquired a lovely set of Eminent Technology LFT-VI, which is the full-panel sibling to the LFT-8B. 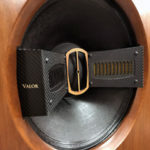 Besides the names mentioned, I have heard several of the classic and current brands including Quad, Carver, Martin Logan, Sound Lab, Analysis Audio and Sanders Sound. I’ve been ambivalent about electrostatic technology in the past. Opportunities for those less than well heeled to obtain superior full-range ESLs have been lacking, largely due to technological restraints. 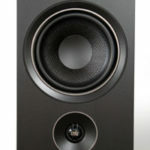 Ones that approached affordability were severely compromised in the bottom-end (several still are), or were hybrids typically displaying integration issues between the dynamic bass driver and planar element(s). For these reasons, as well as the necessity of space to accommodate their expansiveness, an “ESL for the masses” had not yet materialized. The King has marched onto the audiophile world stage defying all others with its performance for a reasonable $8,000. I find it incredible that I construct sentences incorporating phrases such as, “a reasonable $8,000.” Truly, working with higher-priced gear alters one’s perspective, so that things deemed beyond the pale of the average hobbyist become “reasonable”. The what? From where? How much? A couple years ago this speaker wasn’t even on the radar screen in North America; now it’s moving to dethrone reigning electrostatics. In that brief time it has “climbed the hill”, yea, has assaulted it and is proclaiming, “I’m the King of the hill, the Potentate of the Planars!” Yes, that is precisely what I hear it proclaiming. 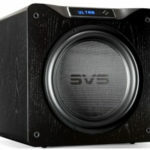 To avoid confusion about this speaker, please note that King Audio has a line of speakers, the model being reviewed is named the King, and the hybrid version using dynamic subwoofers and a thinner ESL panel is confusingly labeled the King System. The King is a true, full-range ESL speaker, second in the line only to the Emperor – a flashback to the Tympani, only with a technological twist and more aesthetic appeal. My set came from Performance Devices, the newly established North American distributor. Performance Devices is operated by Roger DuNaier, a business man who, like Victor Kiam, liked what he heard so he “bought the speaker” as a distributor. Smart move, because from what I’m hearing he’s going to do very well with the King Sound line. My first brush with the King’s particular form of greatness was at CES 2009 while I happened to be navigating a hotel hallway en route to a different transducer. As I swished past the open door I saw the prominent panel and gawked internally, “A HUGE planar!” Trying to contain my excitement and to appear nonchalant at such times, I set up for a demo. I don’t even remember what I played. I only remember that it was impressive from the first note. The room was a poor environment, and there were people talking over the music, but it didn’t matter. I could easily hear the caliber of the speaker. My first take, my “gut reaction” to a speaker, is usually a very good indicator of whether or not I will be enthralled with it long-term. My favorable impression was dead-on regarding the King. Also in the room was Kevin Hayes of VAC (Valve Amplification Company), whose Renaissance Signature Preamplifier MkII was in my possession as a part of the Legacy Audio Helix speaker Super-Review. I respect Kevin’s abilities as a designer, and I pay attention to his advice on what sounds good. Kevin affirmed my impression, and added that he owns a pair of the King. I also met with another King Sound representative, Conde Fung of King’s Audio Limited of Hong Kong, the international marketing arm of King Sound. King’s Audio Ltd. also manufactures portable audio devices such as MP3 players. The ESL speakers are only a part of the company’s efforts. I was in a conundrum about the King. I adored what I heard, but they were big! My room is not huge, at 23’x13’x7.5’, however with the Legacy Helix I had proven that whopper speakers could be utilized in an average space. But this was a planar, with a completely different dispersion pattern. I was very thankful that I had previously used planars in the room and had tuned it so as to accommodate them. When Kevin reassured me by revealing his listening room at home is 15’x17’, I knew what must be done. I would not go for the Prince II as Roger was suggesting (Anyone of us would, Doug. -Ed. ), but would lock onto the King. Roger worked with me to free up the pair for this review, for which he receives my gratitude. how does it compare to the LFT-8b.. Thank you for your comment and your readership. Please describe what speakers you used before and what aspects about them that you find wanting. Secondly, what is your budget? How large is your listening space? What type of music do you listen to? The King III is far superior in every respect to the LFT-8B. It should be at about 7 times the price. The only area in which you might be able to get the LFT-8B to outdo the King III would be in LF output. But, by that time you would have to drive the LFT 8b to distortion. I suggest that when the King III is set up superbly it is capable of close to panel perfection above 300Hz. If you wish to have perfection in horn, dynamic, dynamic hybrid, transmission line, or omnidirectional models you’ll have to look into other speakers.